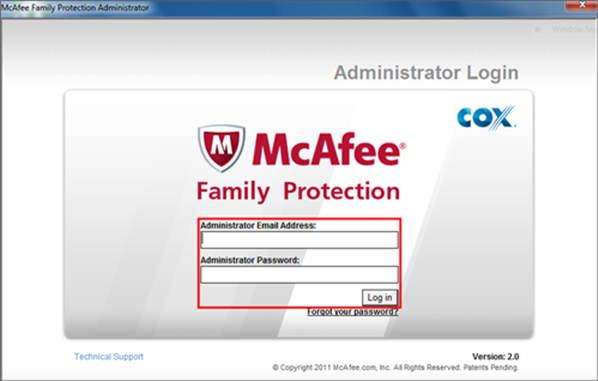 Effective July 19, 2018, McAfee is discontinuing support for McAfee Family Protection®. 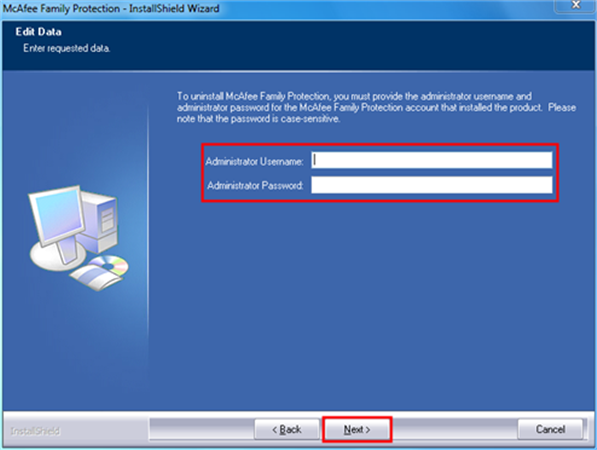 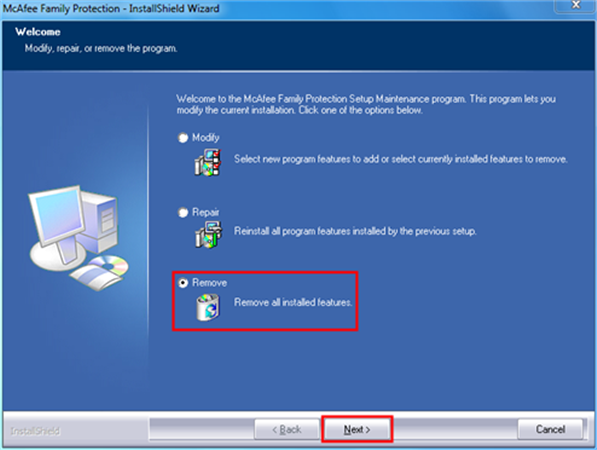 Follow these steps to uninstall Family Protection® from your Windows computer. 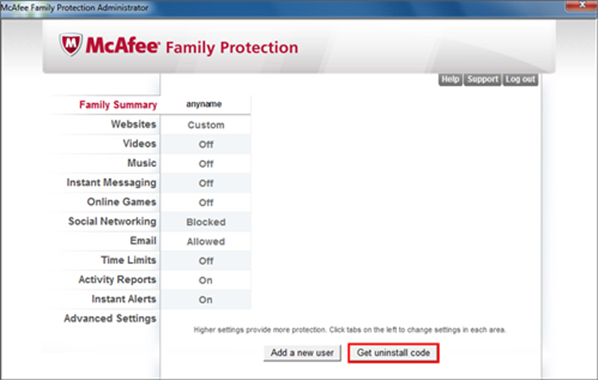 The uninstall code expires at midnight. 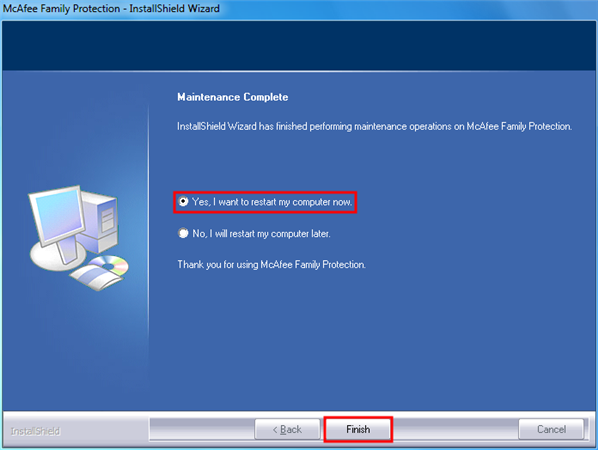 Select Yes, I want to restart my computer now., then click Finish.